The Multi Use games Area (MUGA) at Glapwell Football ground is now available for hire. The project has been made possible with the help of European money (£42000) provided by the Leader Project, which offers funding to help local projects in rural areas. The rest of the funding was raised by the Parish Council keen to give the club a big transformation following the closure of the old playing area in 2016. In total it has cost £54,000 and provides a brand new playing surface, fencing and energy saving floodlights to allow the ground to be used from 10am until 9pm at night. The Ground is marked out for football, netball and tennis. Ample parking is available. The MUGA facility measures 712m² and will sit alongside the main Football Ground at Hall Corner. Synthetic surface specialists, Bradleys Surfacing Systems carried out the refurbishment which involved recycling the existing synthetic turf and replacing it with TigerTurf EvoExcel sand-dressed surfacing that is marked out for 5-a-side football, tennis and netball. 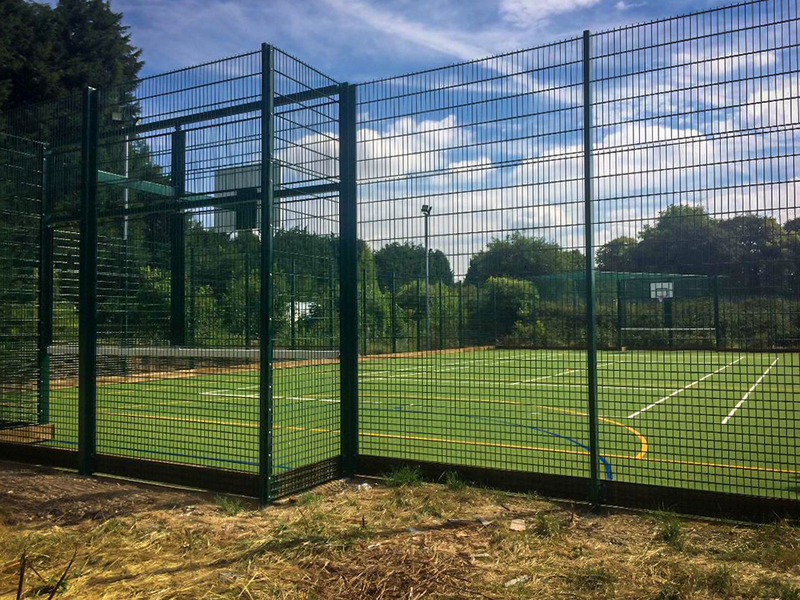 A 4m high super rebound twin bar fence system with built in goals and basketball hoops was also installed as part of the state of the art project, alongside energy saving floodlights to allow the ground to be used late at night. 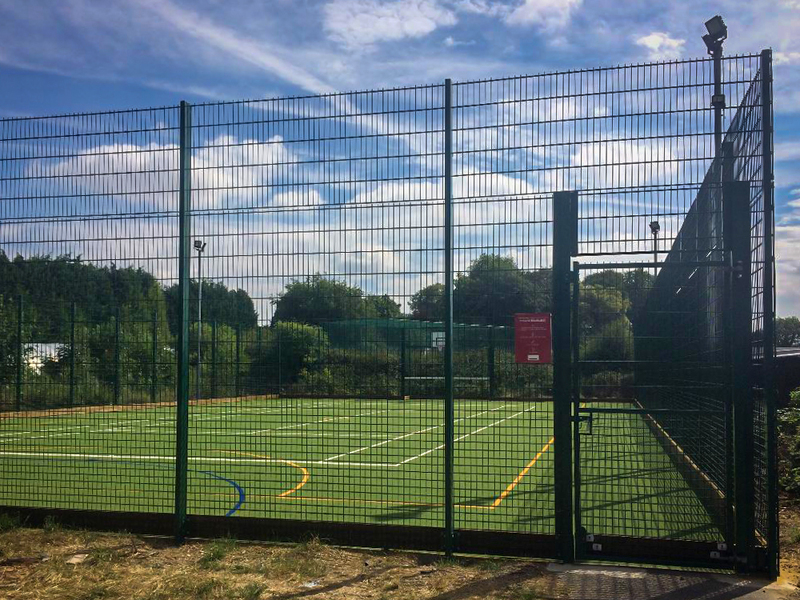 The MUGA is available for block bookings to provide a regular training facility for groups in the area or, where available, on a casual booking arrangement. You can book and pay online by clicking the ‘pay now’ button below. Price for one hours hire is £25.00 inclusive of VAT. For further information, block bookings and alternative payment methods please contact Sue O’Donnell by email or by telephone on 01246 414373.